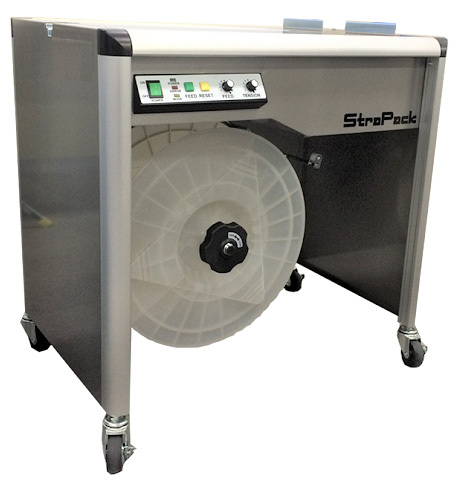 The new Strapack iQ-400 took the place of the Strapack D-53X2 and JK-2. 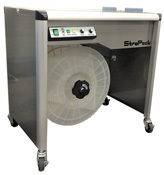 The Strapack iQ-400 utilizes dual tension mode. It is capable of strapping a variety of different applications at the flick of a switch. The heavy-duty design makes it a reliable option, even in harsh operating environments. 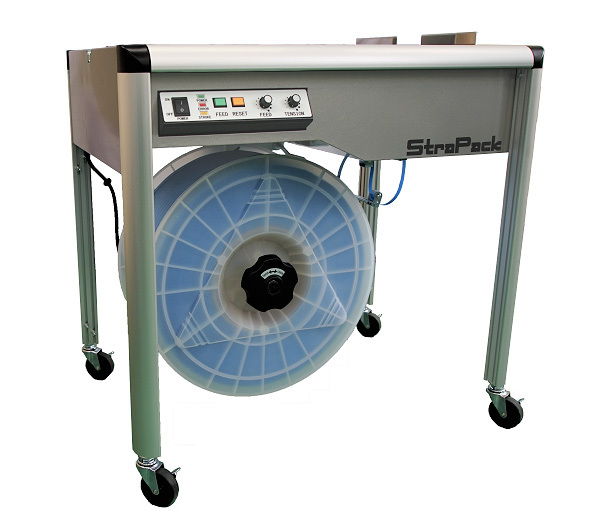 It is also extremely quiet, making it a great option for clean room and office environments. Electronically controlled tensioning makes it easy to apply consistent tension from one package to the next. It can be varied electronically with a microprocessor from 5 lbs. of force to 112 lbs. of force with the turn of a dial. This machine works well with delicate, easy to damage packages. Heat-up time is only 30 seconds. Call or contact us today for a machine demo (Southern California Customers Only).